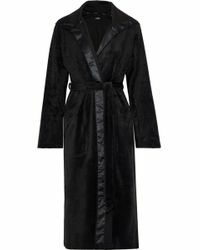 After a long, hard day at work, treat yourself to an essential luxury - a fluffy robe. No longer reserved for swanky hotel stays, you can enjoy the luxe feel or a soft, fluffy robe at your leisure or even on the job (working from home has never been so comfortable). Choose your favourite from the short, long and hooded styles available and put your feet up - after all, you deserve it right?